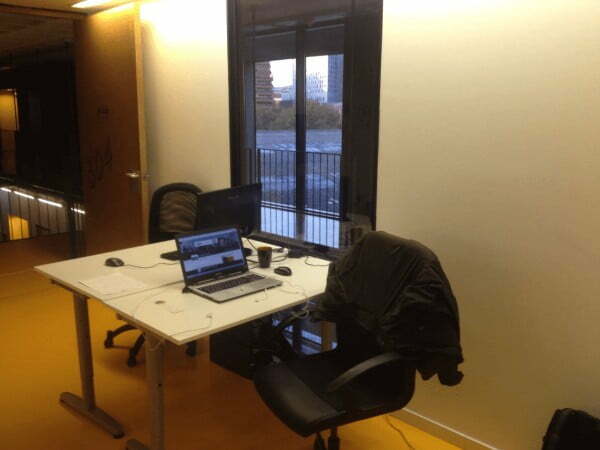 Four years ago, I paid a visit to the folks at InboundCycle. 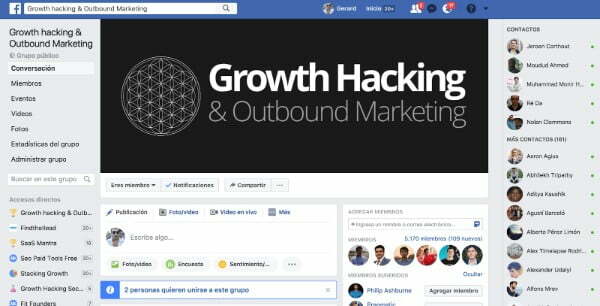 They are running a marketing agency and are top Hubspot distributors in Spain. They specialize in… you guessed it: inbound marketing. Being the CEO of a core outbound marketing tool you can probably imagine that when I showed up four years ago to pitch them on FindThatLead, they didn’t connect with the philosophy that drives our product. But I didn’t back down. Instead, FindThatLead has grown into a thriving team with a product that inbound and outbound marketers all around know and love. 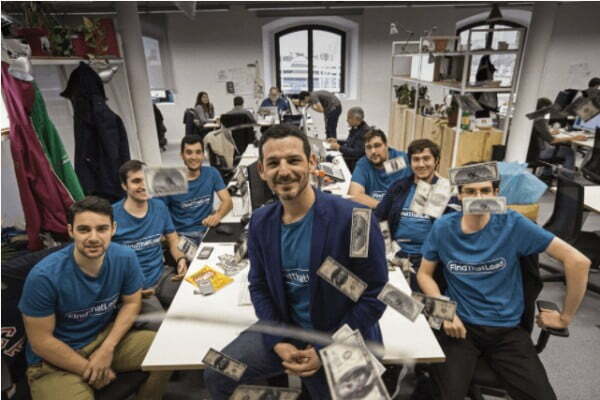 Our growth didn’t go unnoticed by InboundCycle CEO and founder Pau Valdés and his team. Four years later, they invited me to speak at their premier marketing event: Inbound Leaders. I had a blast presenting and became the first-ever speaker to discuss outbound marketing strategies at Inbound Leaders. My talk was received with disbelief at first, but I managed to close to overwhelming applause. We even saw new customers signing up for FindThatLead after seeing the value it could add to their marketing efforts. But a great prospecting tool alone isn’t all you need to run an awesome outbound marketing campaign. I want to share with you the same ideas and tactics I presented at Inbound Leaders. Let’s cover everything you need to know, from finding qualified leads with followers, to how to write a sales email using simple techniques that have a profoundly positive psychological impact. As salespeople, we walk a very fine line every day. We want to make money, and we want to do it honestly, but people perceive salesmen as greedy money grubbers who just want you to fork over all the dough in your wallet. The simplest way to overcome this challenge and to gain trust from your target audience is to offer an amazing product that benefits society in some way. This isn’t rocket science. Put yourself in your lead’s shoes. Does your product fill a gaping hole in their heart? Does it solve some enormous problem that’s preventing them from achieving their goals? If you can honestly say “yes” to this question, then it’s your responsibility as a salesman to do everything in your power to connect your prospects with your product. And, frankly, they should feel privileged to give you their hard-earned money for your product, if you’ve done your job right. …and it all started with an awesome product that meets an important need for businesspeople in all industries. We’re so proud of what we’ve been able to accomplish. Having an amazing product isn’t all it takes. You need a focused marketing strategy to meet the responsibility you have as a salesman: putting your amazing product into your customers’ hands. You’ve probably tried to write sales emails and social media campaigns, and maybe even advertisements, trying to scrounge together a solid list of customers. But despite your best efforts, an overwhelming majority of those leads you’re reaching never call you back. You’re not doing the wrong thing: outbound marketing is essential and you have to keep going. But you might be doing the right thing in the wrong way. Let’s look at some simple (but profound) techniques that’ll take your sales email outreach strategy to the next level. Besides, if you’re not having at least a little fun at work, what’s the point, right? How do we write fun emails? And, just as importantly, how do we make them stand out? Let’s start with the subject line. And he was right. Keep your subjects short and concise. Need an example? A short and quick header plays a few important psychological roles. Firstly, most email subject lines tend to be a lot longer than “can we?” and your leads’ eyes will be drawn to your subject line because it looks physically different from the big list of emails he’s staring at. Next, it gives away very little information about the email, so your leads are more inclined to raise their eyebrows and think, “what’s this now?” This makes them much more likely to click your email instead of just ignoring it. Plus, a short subject line is a subtle way of telling your lead that you respect their time. People in business are busy, and people who aren’t in business are distracted by other things. Keep your subject short. Your lead will feel much more inclined to read an email they expect to be quick and easy. Then come the meat and potatoes. I don’t intend to go deep into copywriting, but it should go without saying that your copy itself needs to be killer. But beyond just great copy, your email should look attractive, should be easy to navigate, and shouldn’t put a burden on the reader to do much more than click a link or send a quick reply. This means your email needs to be formatted in a way that reads easily, no matter what kind of device your lead is reading from. Avoid long, boring walls of text, and stick to the information your prospects are interested in. You can make your email pop even more by using photos or GIFs. Now, let’s get back to our secret persuasive techniques: personalization and attention to detail! 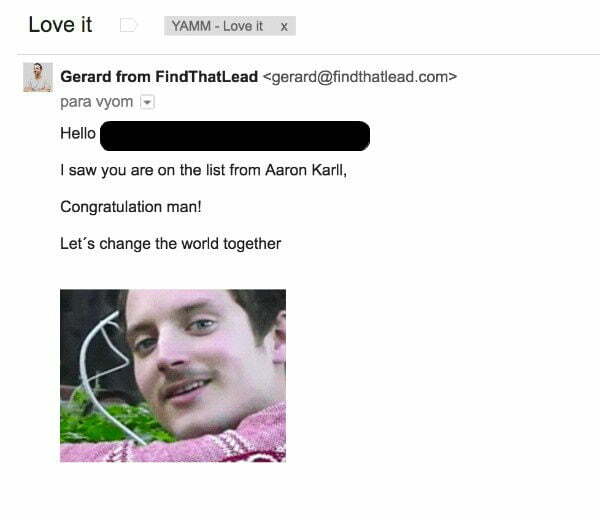 Anyone can plug a funny GIF into an email and shoot it out to a mailing list. But your leads are smarter than you think. They’ll know whether they’re reading a plain old marketing template or a hand-crafted email that’s written just for them. Yes, this does mean you have to do a little bit more work in scrubbing and preparing your list. It’s as simple as this. Plus, we’re being friendly and personal. There’s nothing sales-related to be found anywhere in this message, and you can be sure we got a response. Also, notice how it’s not a crowded email. It’s just a few quick lines, a fun graphic, and that’s about it. It’s good to use one call-to-action in your email, and no more than that. “Let’s change the world together!” is a fun and hip CTA, but yours can be more direct. “Shoot me a message to get your free consultation” can work just as well, so long as it stands out by itself. 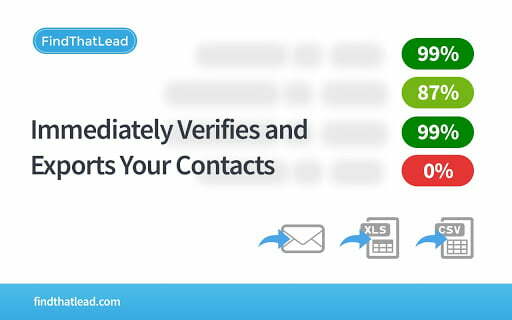 Once you start asking your lead to do too much, they’re going to be turned off from replying to your email. This means no PDF attachments, no forms to fill out, just a simple call-to-action that’s incredibly easy to understand. Then, there’s just one more thing you need to make your outreach email crisp, clean and polished. As you can see, a signature is far more than just a name. There are several elements that make this signature stand out. Let’s cover ‘em all. Firstly, a nice logo looks professional and gives your email some color to help it look more complete. We have a short and simple tagline that helps the reader understand exactly who they just read an email from. Include what you do within your organization under the signature itself. Don’t go for complex or grandiose titles. Instead of CEO or Marketing Director, try to phrase what you do in a way that’s helpful towards the people you are targeting. Contact information and social media contacts follow, because, hey, we want this lead to get back to us, right? They can call, they can email, and they can tag us on Instagram or look us up on Facebook. They can even look up our office address on Google Maps! Then, we have a subtle (but proud) footer after the signature highlighting some organizations who’ve worked with us or given us good testimonials in the past. That’s a lot, right? So what’s the point of all this? 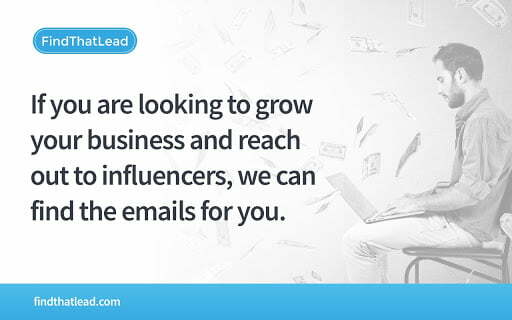 Can’t the lead just hit reply and answer if they liked your message? Well… sure. But you’re a salesperson. Remember what we said before: it’s your responsibility to do everything you can to put your awesome product into your customer’s hands. Including a complete and well-rounded signature in your email isn’t just about looking good and being practical. It’s also about letting your reader know that you’re human, too. They can see where you’re based out of, they can easily get in touch with you, and they get a sense that you’re a polished and experienced businessperson who’s good at what they do. Not an anonymous spammer. Your email signature is the last impression you leave before your lead is done reading your email. You want it to pop! In business, there are no guaranteed successes. You have to keep at it even when sales are dragging and projections look weak. Even if you’ve exhausted your best lists and gotten a lackluster response, you need to send at least one amazing email every single day. An awesome outreach campaign starts before you ever write that sales email; you have to Find That Lead! Social media is often misused as a tool for broad outreach and sweeping advertising campaigns, but the real advantage in social media lies in its “face to face” value. You can truly engage quality prospects in a highly personalizable setting where you can learn a lot about them before you ever reach out to them. Facebook comes to mind because Facebook Groups have become a prominent form of discussing interests among like-minded people. These groups are often ultra-specific. This gives you the opportunity to micro-target people who’ve subscribed to groups that express these very specific interests. Just building your own attractive, high-quality Facebook group and generating some buzz can build you a list of thousands and thousands of leads with the potential to grow all day, every day. The best part is you get to be in control of the group’s content, so you can easily test content to see what kind of reaction it draws before you employ it in an email campaign. We ran our own outbound marketing group on Facebook. You are most welcome to join. Remember – just like with your outreach campaign itself, you have to make a great social media post every day. Instagram is another misunderstood social media tool in the marketing world. Finding high-quality, high-profile leads on Instagram can be as easy as searching your keywords, following the Instagrammers who have lots of followers, and sending your one amazing email per day to them. If you have a brilliant product, a high-profile Instagram user can mean serious exposure if you can persuade them into endorsing your product on their feed. 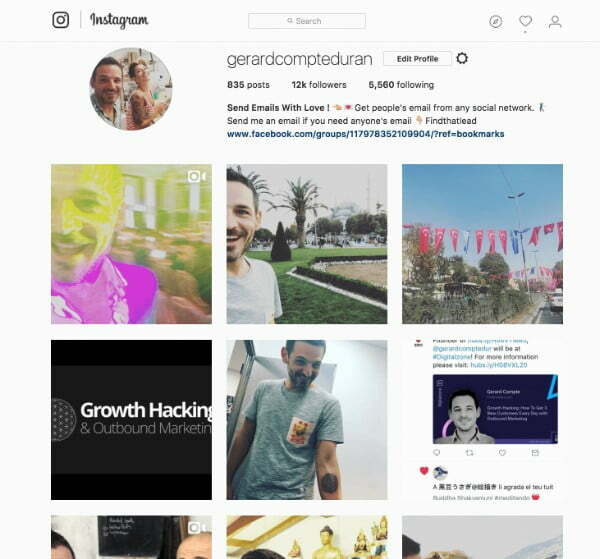 You can even use tools like BigBangram to promote your own Instagram feed automatically, generating followers who you can add to your cold email blasts. Just like with Facebook groups, you get to control the content on your Instagram feed so your followers will be users who are already demonstrating an interest in your niche. You don’t have to rely solely on social media to find highly targeted leads. Look up conferences within your niche and get your hands on the list of speakers and exhibitors. 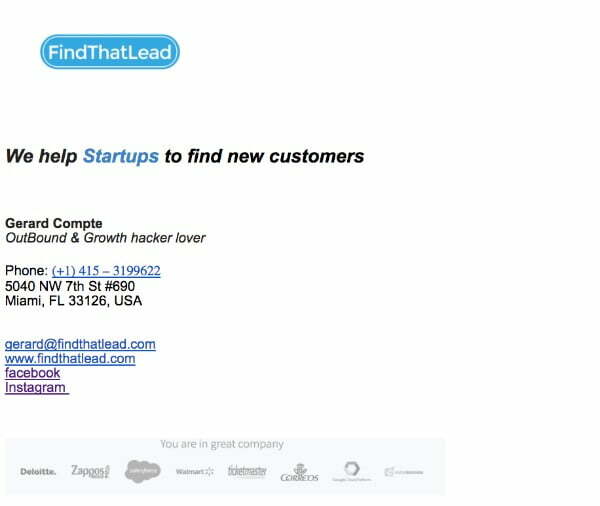 You can use FindThatLead to get business contact information for these individuals, who, like popular social media personalities, can create a lot of buzz around products they believe in. Never forget about your old customers, either. It can be so easy to get caught up in the rat race of trying to find new prospects that you forget how easy it is to reach customers you’ve made happy in the past. Dig out those lists of old subscribers and past buyers and see if you can offer them some new value that they didn’t enjoy with you before. 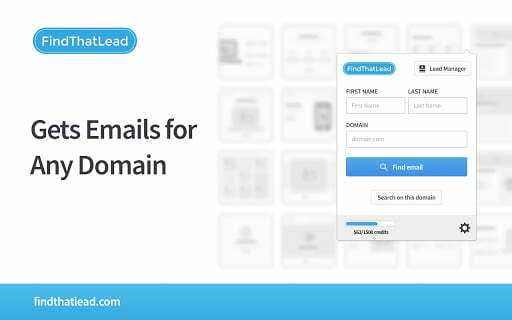 If you find that their email addresses aren’t good anymore, these lists can still be good starting points for finding good contact information with FindThatLead. Even with great prospecting tools at your disposal, finding new leads can be a difficult and arduous process. So, before I go, I want to share with you a problem-solving technique that I use all the time. This technique works for more than just lead prospecting. It’s a way of approaching any problem you have, even outside of work. It helps clear your head and focus on arriving at a solution. Let’s say you have a problem. Or maybe a friend is having a problem. You’re sharing a drink after a long day of tough selling, and he tells you that he won’t be closing any more sales until the end of next quarter. He doesn’t believe in himself, and he’s doubting his product. Put yourself inside of this blue box. Close your mind. Imagine that you have a ton of customers before you. 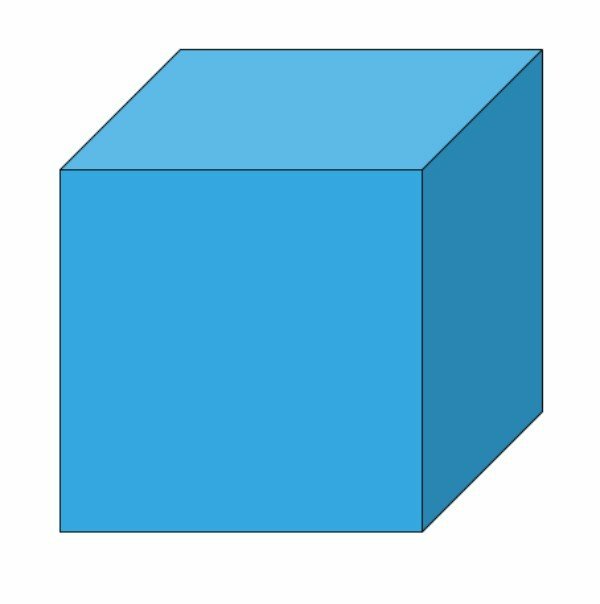 You are inside the cube, and you have this image before you, and the problem of not having any customers is being solved. 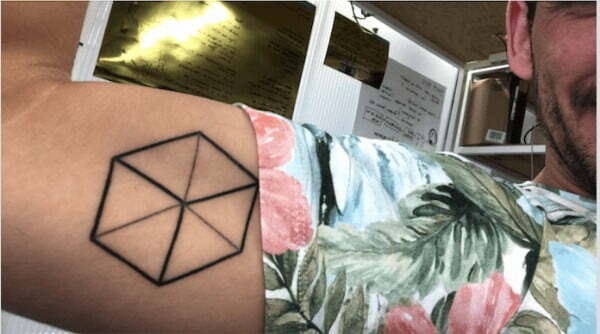 And, come out of the cube. This is about conquering limiting beliefs. Close your eyes, think about the problem, hide away in the cube, and picture your problem being solved. When you come out of the cube, you will have a solution in front of you. Positive visualization isn’t just about feeling good. This is real stuff that can impact your bottom line. The world around us is changing all the time, and that’s doubly true in business. If you’re not staying current and learning more every day, you’re falling behind your competition. 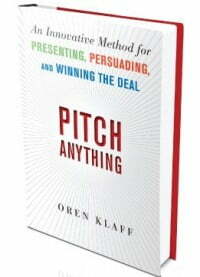 Here are some books you can pick up to hone your outbound marketing game. These are the same books I’ve used to scale my outreach efforts. Klaff’s perspective on the art of persuasive sales is an inspiring and innovative approach that will change the way you think about how you sell your product. 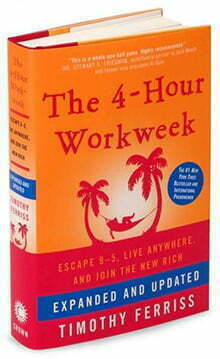 Break free from the excessive monotony of the 40-hour work week, and learn Ferriss’s secret to maximizing your time at work so that you can maximize the time you spend away from work. 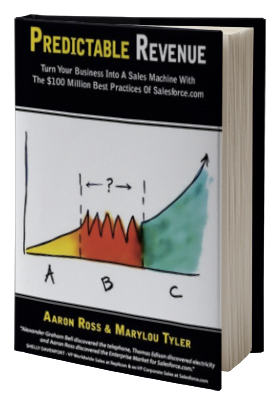 Predictable Revenue is jam-packed with tips for outbound marketing success, proven by the massive sales Ross achieved during his time at Salesforce. Learn the best practices that’ll help your business build out a model of predictable and repeatable revenue. 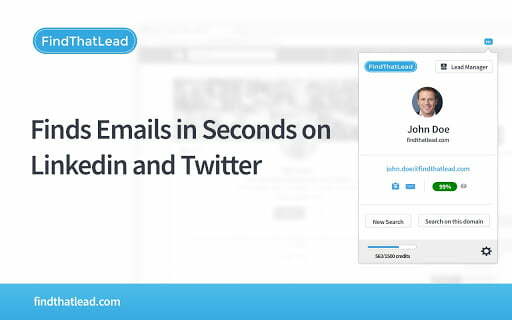 Now that you know how to find great leads and how to write a sales email your leads will actually want to read, make sure to install our chrome extension for lead prospecting to help you find the most qualified leads you can.